Disney Store UK – Fan Friday – 20% off Adult Products. Disney Store UK – Expires: 11/02/2018 – Get Fan Friday – 20% off Adult Products. 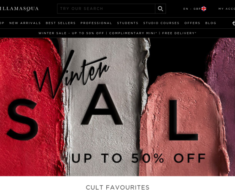 LookFantastic UK – 30% off Foreo Luna and Foreo Luna Mini. 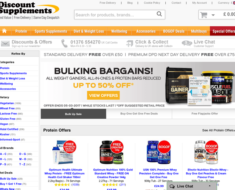 Discount Supplements – Extra 5% off Absolutely Everything. LookFantastic UK – Blue Monday – 20% off any order.